Heather Gartland along with her husband Andy is the joint owner of Topboss Ltd (http://www.topbossgroup.com) which is the holding company for 160 casino portals. They have been in the industry since 1999. Heather originally comes from a Banking background and was Senior Manager of Credit, and Andy was previously a Divisional Officer of Fire Operations in South Africa. They knew nothing about the internet initially and one day developed a Board game which they wanted to market over the internet, and whilst doing research they kept coming across ads for Online Casinos and decided to see how the concept worked. They taught themselves everything about website design and Marketing, launched their first website which took nearly 3 years to generate money…and the rest is history! 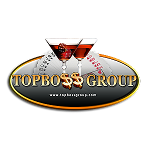 Topboss Group is the holding Company for 160 gambling related websites. They receive over 1.2 Million unique visitors per month to their portals. Many say that Mobile gambling is the ”Next Big Thing”. Do you agree with this statement and are all your sites mobile responsive? Unfortunately I do agree that Mobile Gambling is the way of the future, and I say “Unfortunately” simply because we know we have a lot of work ahead of us in terms of making all of our websites Mobile responsive. We do have a handful of sites that are already mobile responsive but our big project for this year is to ensure the others follow suit. Has the industry changed a lot since you started out many years ago? Would you say it’s worse off now than it was back then? On a scale of 1 to 10 how transparent would you say is the industry? Can you please elaborate? The fundamentals of the industry are the same but we have seen some huge changes. In the “old days” there was just a handful of casinos to promote and the only gaming software providers were Microgaming, RTG and Playtech. There wasn’t much competition and those of us who got in early were raking in the Dollars with very little work. Google’s guidelines were simple and as long as you followed the rules you were pretty much guaranteed a position on the 1st page. Now with the Panda and Penguin updates and changes that Google keeps doing – it’s almost impossible to keep ahead of it all, so we have gone back to the one thing we know is consistent and that is content! We still believe content is king and when all else fails we fall back on content and keep updating and adding new content. Whether the industry is worse off now? That’s a difficult one because it depends which angle you are coming from. As an Affiliate we definitely find it worse off in terms of more competition and having to work much harder to get and maintain good positions in the search engines. From a player point of view the industry is more regulated and the casinos offer a much wider range of games. I would say on a scale of 1 to 10 in terms of transparency – I would give it a 4. There is a lot of improvement needed there as we believe shaving is rife among many of the casinos and they only let us see what they want us to see in terms of stats. We see that you operate a truckload of portal casinos. Not a single day is the same in this vibrant industry, how do you manage to stay on top of your game and to keep all your sites up to date with relevant content? Truthfully we aren’t able to stay on top of it in view of the sheer numbers of websites we operate, but we do have about 20 sites that we work on regularly and ensure we keep them updated all of the time. Other sites are geo targeted and due to regulation, are not actively promoted and tend to tick over on their own. We just update the bonuses when they change or casinos close down. My husband and myself are very hard workers and we often work very long hours as this is one of the only ways we manage to keep on top of things. We are currently investigating new strategies to deliver a high impact, high return solutions to the network. As a true veteran of the online gambling industry. Before you start promoting an operator are there certain criteria you take into account first? Can you please name them? Other than the obvious of doing our homework on them and reading forums etc to establish what sort of a reputation they have – We generally insist on a Prepayment of Commission upfront prior to promoting New Casinos. Many Operators don’t like this, but if they have done their homework on us – they will know we are a reputable company and won’t take their money and run. If a casino genuinely wants a long term relationship with us – they will pay. At the end of the day they get their money back as they deduct the PrePayment from future revenue we earn, but we do this as an insurance policy of sorts to recoup some of our time spent creating ads and space for them because more often than not we have to remove a performing casino and we have no idea of what the new casino’s conversions are like or they hit the wall 3 months down the line and we are left high and dry. Online gambling is still pretty much outlawed in South Africa. How do you see the SA market at the moment, does it have a lot of potential and when do you think regulation will take place? We have been waiting for online gambling in South Africa to be legalized for years and each time a new bill gets to Parliament it has to go back to the drawing board for one reason or another. Currently we believe there is a further bill being presented to parliament, early 2015 , but the Anti-Gambling lobbyists are making a lot of noise, as they always do when there is a bill on the table. Fact is that whether the powers that be like it or not – Internet is the way of the future and South Africa will remain in the dark ages if they don’t make online gambling legal. The benefits far outweigh the negatives. For starters the Government badly needs the revenue that would be generated in terms of taxes. Unemployment is rife in SA and there would be a fair number of jobs created. It makes my blood boil when I hear the anti lobbyists talk about the fact that our industry is full of crime and money laundering. There is actually more regulation and paperwork changing hands at an online casino than there is at a land based casino in SA. Anyone can walk into a land based casino, win money and walk out with cash. The casino doesn’t know who the person is or where their funds came from. An online casino proves identity and address amongst many other things. In my opinion the online casino environment is far more regulated than the offline environment! Online Sports Betting is already legal in SA. What makes Online Casinos any different? Player and affiliate shaving is rampant like never before. In your expert opinion do you think the industry is properly policed? If it was in your power which mechanism/s do you propose to properly police it? No, I don’t believe the industry is properly policed and we have caught out many casinos shaving over the years and when we raise it with them we get the usual “Player has blocked themselves“, “That’s an error – we had a glitch in our software/tracking“ we have heard them all. 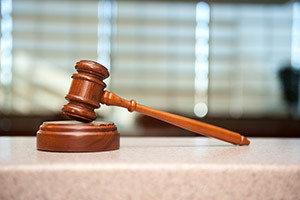 The problem is that we cannot prove it and even if we could – it can cost a lot of money to get lawyers in other countries to take on the casino. The casinos know this and take advantage of it. Obviously there is also many casinos out there that don’t indulge in these practices so I am not including them all but they know who they are! If the Affiliates could have access to the same backend the casino has – i.e directly from the supplier and not just the bits of stats the casino wants us to see, then this would take a lot of the gray areas out of the equation. I understand they don’t want us to see Player names and emails for obvious reasons but this should be the only part that is blocked. There are too many coincidences that we all complain of “last minute winners the day before month end” . We don’t believe in Coincidence!!! Over the past decade or so, it’s been us, the Affiliates that have done our utmost to push for better policing and legal regulation, we have created community forums, chat sites, video and many other forms of media crammed with good information about the good, the bad and the ugly – All to protect the player!! The one important factor that’s missing in new legal regulation, is the fact that there is NO protection policies or policing software built into legal regulation and/or licensing laws to protect the affiliate, we need to be protected as well – we are just as vulnerable as the player! In fact, you and other affiliates know how much work, time, money and resources goes into the development of a website or promotion in order to provide good, sound information for our players – Affiliates are the backbone to the online casino industry, which includes the player and their interests. Many players are complaining that the games have become tighter and that some of the softwares are ”rigged”. In your expert opinion do you share this sentiment? No, Generally speaking I don’t believe the software is rigged. There may very well be a few online casinos that may have the ability to rig games, but our understanding is that the software developers themselves produce the games as well as the gaming mathematics, which is thoroughly tested before it is released to the casino and ultimately, ready for public play. If the casino has the ability to take a chance and rig a game they are inevitably caught out and end up on the affiliates Blacklisted casinos page. But I believe that the main software providers like Playtech, RTG, Microgaming, IGT, NetEnt and the like have too much to lose in terms of reputation if they rig the games. There’s a couple of portal casinos that steals the limelight. Which portals set the standard and why would you say so? Other than www.cassaon-casino.com and one of our sites – www.casinosouthafrica.com? LOL – But seriously there are 2 sites that catch my attention – www.latestcasinobonuses.com – simply a good clean site with loads of info and appears in Google for so many terms that whatever the Webmaster is doing – he is doing it right! And www.thebigfreechiplist.com also warrants a mention for the sheer magnitude of the site. One can see the Webmaster has put a huge amount of effort into the content and pretty much covers all of the online casinos. Love their search function and ranking system too! Have you attended any conferences, if so, which are your favourite ones? Do they add value to the industry? (The reason why I’m asking this question is because conferences have become a platform for a booze-up and semi-naked girls prancing about). Yes, We have attended LAC a few times and in some cases we have forged some genuine relationships with various Affiliate Managers but we find that in most cases all they want out of us is our top positions for very little in return, and they don’t seem to get it, that to get top positions they need to prove themselves first! Being from the “older generation” we don’t go in for the booze ups and partying and don’t feel there is much value in a drunk Affiliate Manager promising you the earth! Again – Not implying they are all like this as many are extremely professional. We generally attended the conferences merely to put a name to a face and meet fellow affiliates but rarely attended any of the parties. Casino affiliates are normally seen as a means to take an operator to the next level. Do you think affiliates are getting the proper treatment and respect they deserve? We believe that there may be a few operators, with a long term objective, given the choice would not deal with Affiliates and we are simply a financial drain to them, but one they reluctantly admit to needing! Many Partnerships we have, work very well with a great deal of mutual respect and loyalty, but there has also been instances after a long term and healthy relationship when the affiliate gets dropped! One very recent event which comes to mind is Aff Europe – The Affiliate program for City Club Casino, City Tower Casino and Crown Europe Casino. We have been Affiliates of theirs for as long as I can remember and to be fair they always paid us on time, paid our players and just did what we expected of an Affiliate Program and Casino. In December 2014 we received an email advising they were closing down their Affiliate Program. All well and good HOWEVER they were NOT closing down the casinos. In other words, the casino continues to generate income from our players. The Aff Europe affiliate contract, clearly, in writing mentions that the affiliate will keep their players for the lifetime of the player. It doesn’t matter whether Aff Europe closed down – the fact is that the casinos are also bound by a contractual agreement with their affiliate representative. They have no right to continue receiving income from the players without honoring the affiliates contract as well. For this very reason, affiliates are in the process of Blacklisting their brands – affiliates can certainly do some damage to their reputation as a united force!! Most affiliates are of the opinion that if online casinos can rob their affiliates, they can rob their players too!